You will need the Java SDK version 1.8 or later (Note that 1.7 is supported to compile and run sources, but may not work correctly in dev mode). If necessary, download and install the Java SE Development Kit (JDK) for your platform. Apache Ant is also necessary to run command line arguments in this sample. If you don’t already have it, install Apache Ant. Download and unzip the GWT SDK. 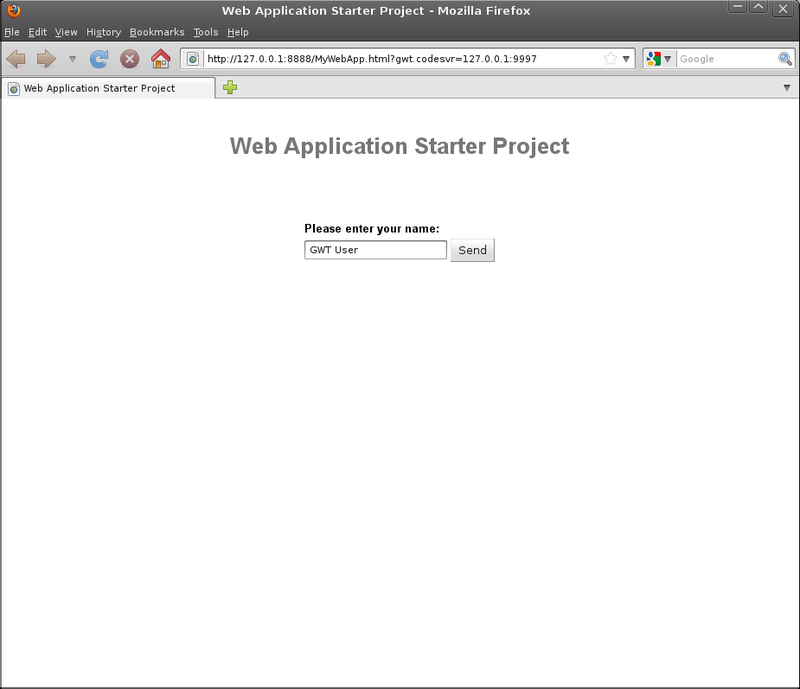 This contains the core libraries, compiler, and development server that you need to write web applications. See FAQ for system and browser requirements. The GWT SDK doesn’t have an installer application. All the files you need to run and use the SDK are located in the extracted directory. GWT ships with a command line utility called webAppCreator that automatically generates all the files you’ll need in order to start a GWT project. It also generates Eclipse project files and launch config files for easy debugging in GWT’s development mode. The webAppCreator script will generate a number of files in MyWebApp/, including some basic “Hello, world” functionality in the class MyWebApp/src/com/mycompany/mywebapp/client/MyWebApp.java. The script also generates an Ant build script MyWebApp/build.xml. Launch the local server in a browser by either 1) clicking “Launch Default Browser” or 2) clicking “Copy to Clipboard” (to copy its URL), then pasting into Firefox, Internet Explorer, Chrome, or Safari. 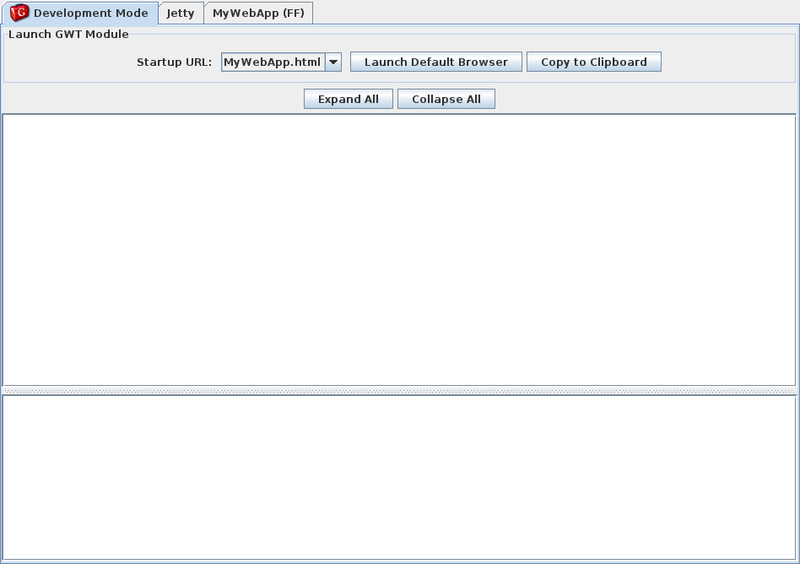 Look inside com/mycompany/mywebapp/client/MyWebApp.java. Line 41 constructs the “Send” button. Change the text from “Send” to “Send to Server”. If you are going to stick with the command line, check out Speed Tracer and then head over to Build a Sample GWT App.